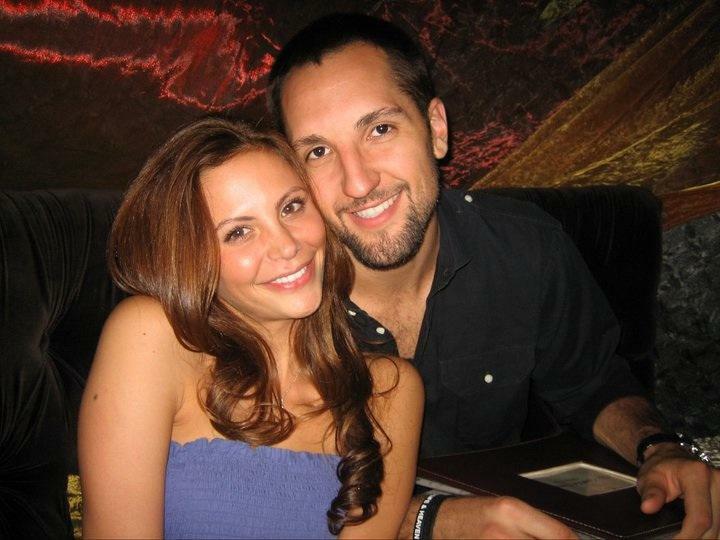 America first met Gia Allemand during season 14, The Bachelor: On the Wings of Love. She was one of the twenty-five women vying for Jake Pavelka’s heart. Her beauty and kind personality captured Bachelor Jake Pavelka’s attention. Gia made it to the final three, and still remains close friends with Jake. She has found love with Orlando Magic forward, Ryan Anderson. Gia and her boyfriend Ryan. Gia has been on both seasons of the Bachelor Pad. She is an extremely kindhearted individual, who trusted very easily on the show. Her trusting nature ultimately got her hurt. She eliminated herself from Bachelor Pad Season 2, and walked off the show in a dignified manner. Gia is very busy, when she is not pursuing modeling and acting, she is involved in philanthropy. Gia is incredibly passionate about two outstanding charities, Give Kids The World and Farm Sanctuary. To learn more about these great charities, please visit Gia’s website, http://www.thegstop.net/. She also has a fashionable swimsuit line, and an upcoming skin care line. You can find more information about Gia’s swimsuit, and skin care line at her website. Gia has graciously agreed to answer some questions with the Bachelor Expert. 1. Out of the Bachelor and Bachelor Pad, which season provided you with the best experience? Definitely being on the bachelor, I had so much fun with the girls no one was malicious or hurtful and I got to meet Jake, who is one of my dearest friends! 2. Who would you consider your best friend from the show? Hmm I have so many friends from the show, Jake, Craig Robinson, Tyler Vermette, Gwen, Jackie Gordon! 3. This Bachelor Pad season appears more intensified. Do you think the cliques and couples contribute to that? Yeah a lot of the cast from this season got together a while before the show started filming, and created alliances. 4. You seem incredibly sweet, was it difficult to be kindhearted under those circumstances? Thanks so much, it was really hard for me, I'm very sensitive when it comes o bullying because of what I went through growing up. 5. It is apparent, there is overwhelming competition in the game. Who were your strongest competitors? I wouldn't even consider myself a competitor in this game haha. But Graham Kasey Vienna and Michael were so cut throat. 6. Contestants have conveyed, they have charitable causes they would like to contribute their winnings to. Some have shared they need the money for their own lives. In your opinion, who deserves to win? In my opinion with the cast that's left I feel that Jake or Holly deserves to win. 7. I love your fashion sense. What are some of your favorite stores? I love random stores that you find hidden on the streets. 8. You are your boyfriend are precious! Have you found true love? Yes I found my soul mate. 9. What is one thing America would never guess about you? Hmmm one thing America would never guess about me is that I hate going out I'm such a homebody and I love watching old classic movies and buying antique jewelry. 10. What are your current or future aspirations? I am really working hard on my website www.thegstop.com making more swimsuits and finalizing my skin care line. I want to thank Gia for her kindness in doing this interview. She is a great girl, and is accomplishing wonderful things in life. I extremely enjoyed doing this interview. I hope you all love it! Photo rights belong to ABC and Gia Allemand. My Bachelor Pad episode recap will be up on Tuesday! Gia looks nice and incredible. I have never seen this kind of picture earlier. I am a big fan of her and like to see this kind of photos.